It's nearly time for Polish Con, and I'm sure some of you are anxious to start making your shopping lists. 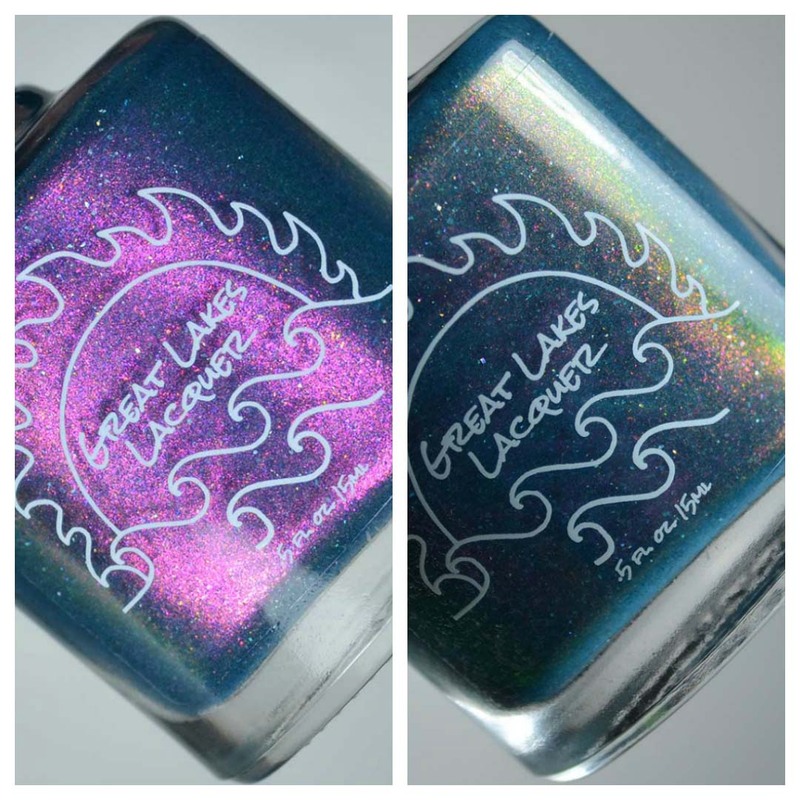 Today's post features the new Polish Con releases from Great Lakes Lacquer. They're packed with all things color shifting and lovely! 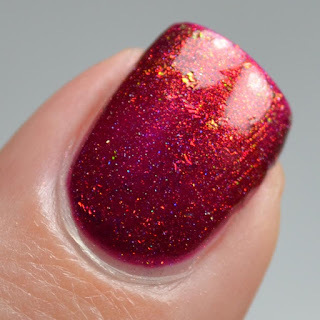 Price: $11 (special Polish Con pricing). $12 online after Polish Con. Notes: I love the contrasting flake and shimmer in this polish. The combo is just perfect! Notes: Nobody should be surprised that Central Park Shenanigans is my favorite from this launch. I love teal and I'm all about the shenanigans haha. 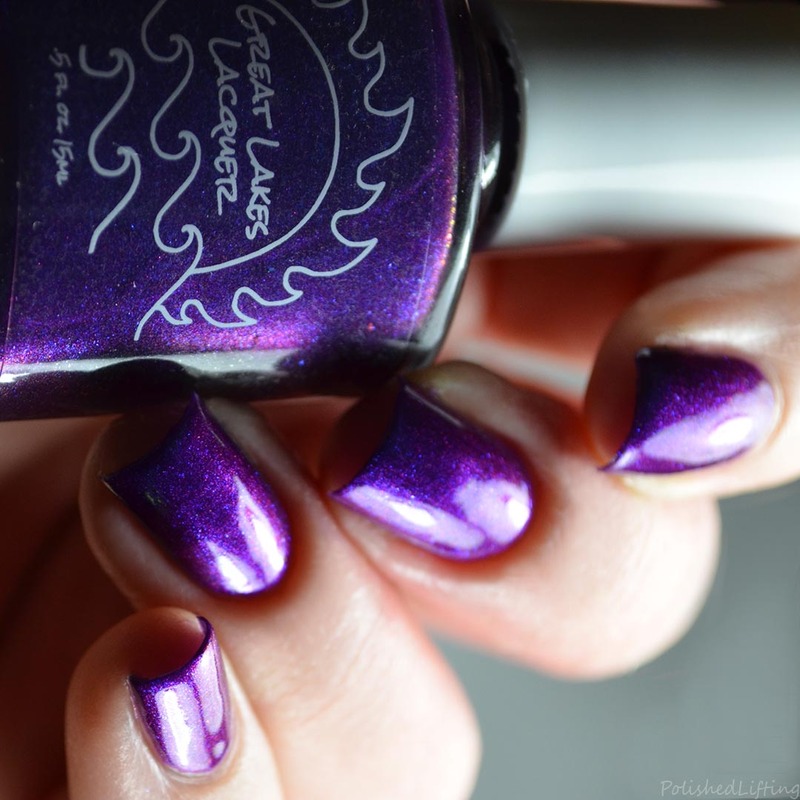 Finish: Deep grape purple with two kinds of shifting pigment; multichrome and aurora. Notes: Soho Shopping really glows! 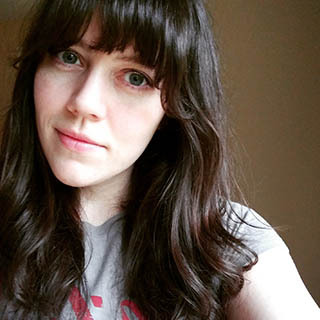 I wore this around yesterday and it was so dang bright in all lighting situations. 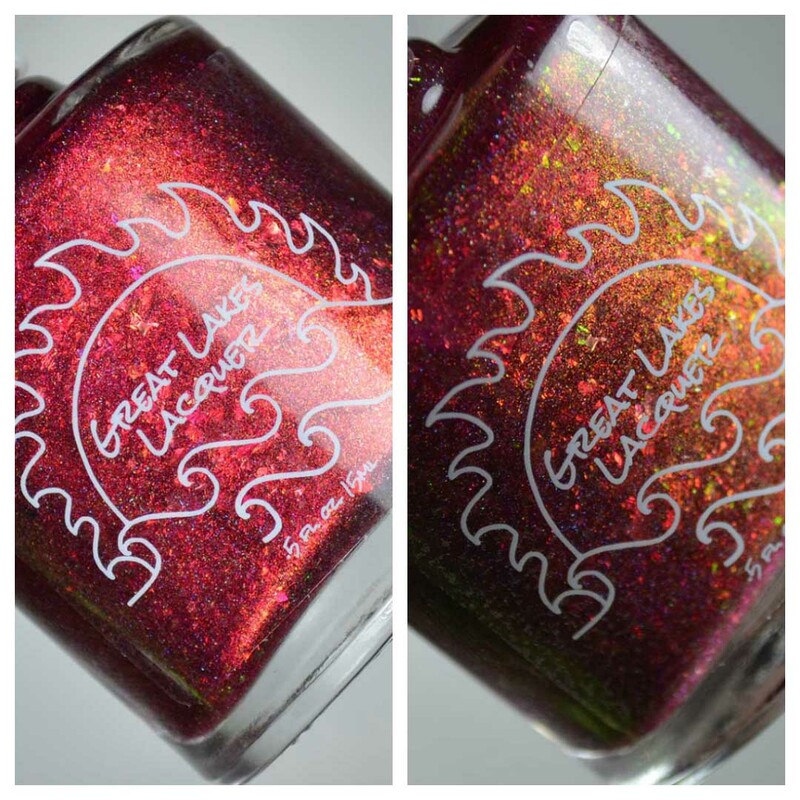 The new Great Lakes Lacquer colors will launch at Polish Con New York on June 16th. Each bottle retails for $11 or $30 as a set at Polish Con. Online pricing is $12 each or $33 for a set. These colors will be available online on July 1st along with July's "Bring It Back PPU" Glass On Fire. All colors will be available online until July 21st. Shipping will be 10-15 business days on this launch. 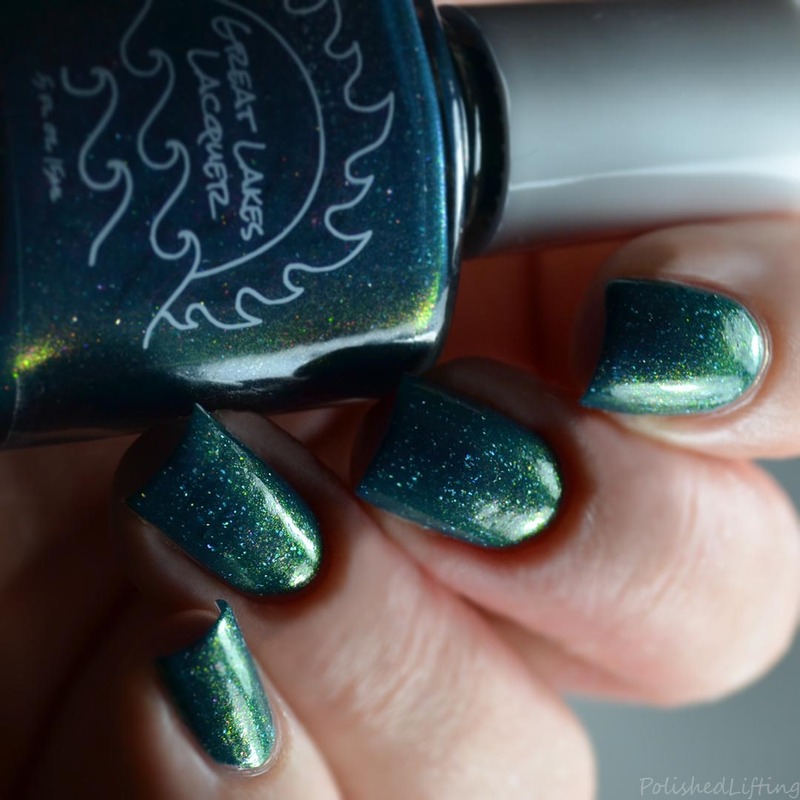 There will also be grab bag style small batches (no swatches or previews available). These will retail for 3/$28 and will be first come first served until sold out. 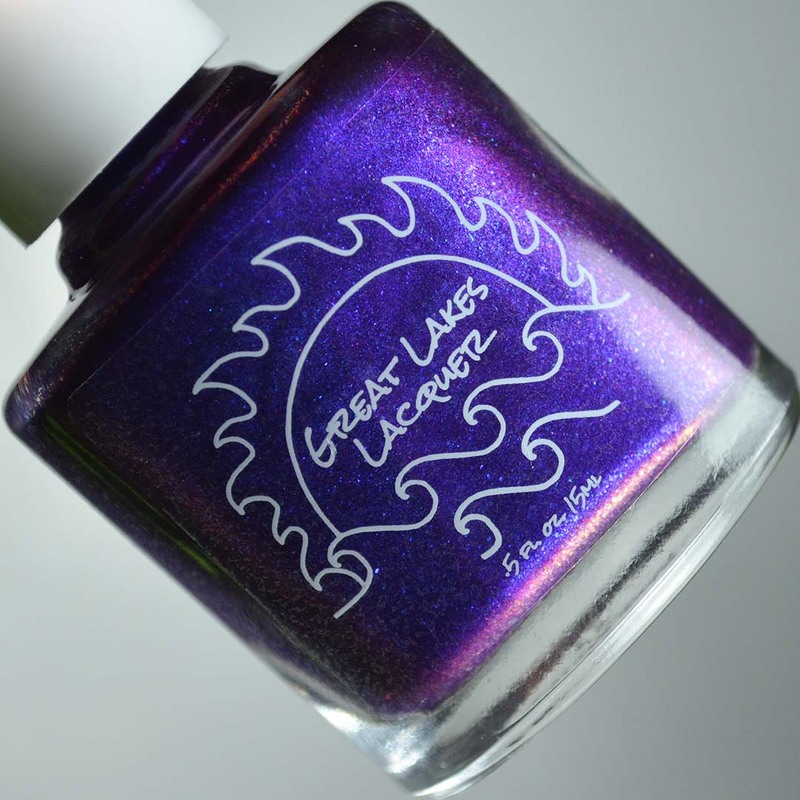 Stay tuned for the upcoming Great Lakes Water Colors collection later this week! If you enjoyed this post you might like Great Lakes Lacquer O'Rlyeh? 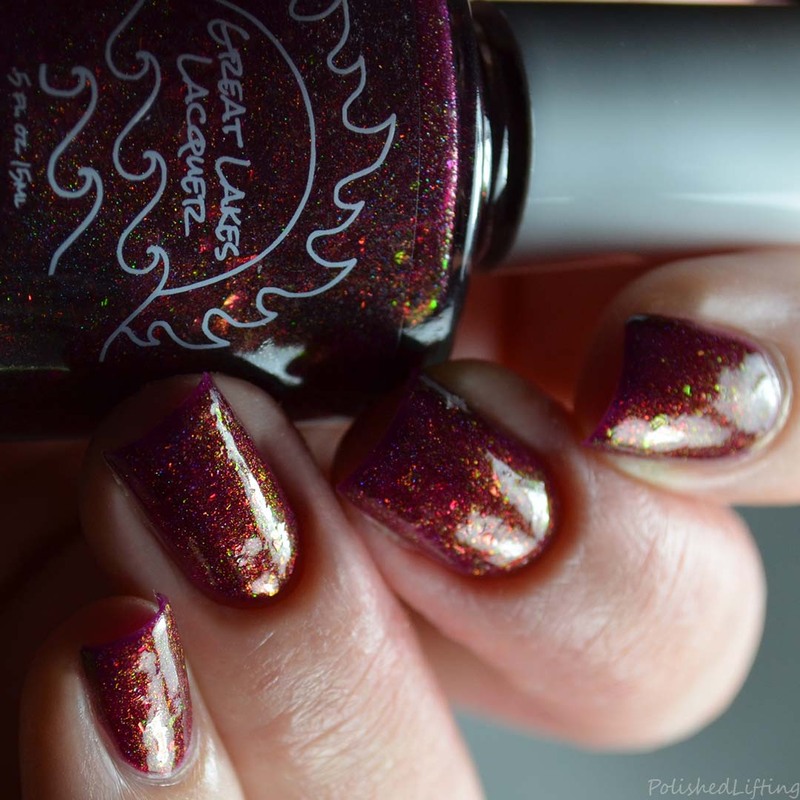 | Polish Pickup October 2017 and Great Lakes Lacquer Half As Well As You Deserve | Hella Handmade Creations April 2018.